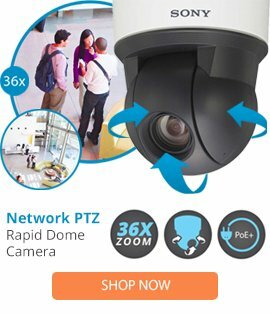 The IRHP7T is a 7” vandal resistant dome indoor housing w/ pendant mount from Videolarm which is designed to provide users with a reliable camera protection solution that can be used in a range of different commercial locations including airports, power plants, stadiums, bus terminals, parking decks, warehouses, correctional facilities, and schools. The IRHP7T housing also features .22 caliber bullet resistance, S-View model capability, a vandal-resistant rugged painted cast aluminium top, a pendant mount, as well as a compact size. The IRHP7T housing also features user friendly installation, and is able to provide high quality operation and protection for use in a wide selection of applications. 13.36 x 9.73 x 9.73"